Last year, Indonesiaful published the first-ever edition of Fabrics of Indonesia. This year, we would like to showcase this unique part of Indonesia’s cultural heritage once again by featuring the 2015-2016 ETAs. Whether it be batik, cual, or any other local variation, fabrics in Indonesia can have many meanings. 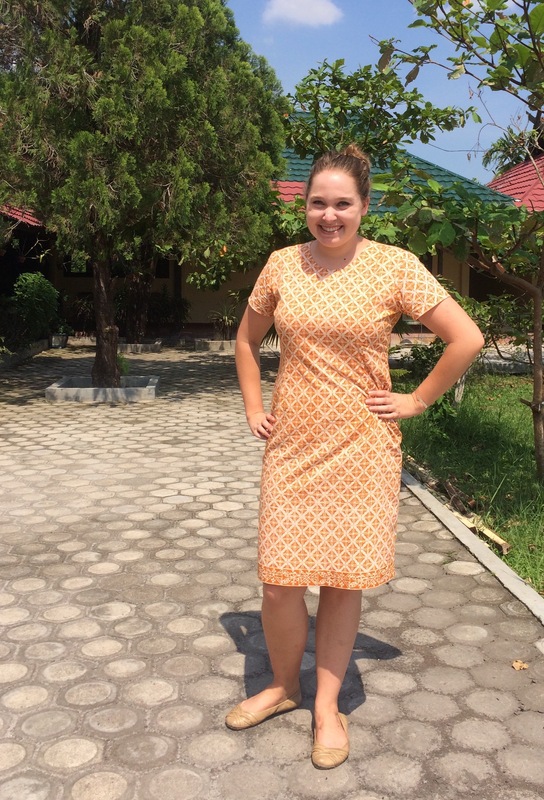 Groups — from families to schools to professional organizations — often share a batik uniform. Local fabrics can be given to guests in a gesture of welcome and to demonstrate pride in the local heritage. Fabric designs can also tell a story by incorporating motifs that are significant in their area of creation, such as the sealife designs on Clara’s batik or the specifically Lampungese symbols on Ramon and Rebecca’s batik below. From across Indonesia, we present examples of the clothes and materials that are (quite literally) woven into the Indonesian consciousness. 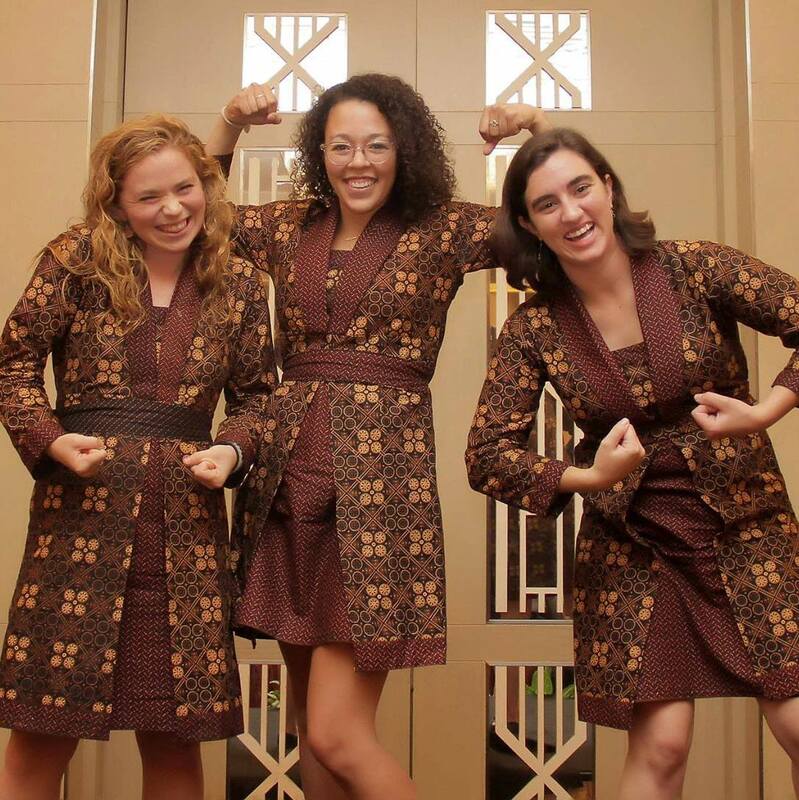 Clare McLaughlin (left), Kelsey Roggensack (center), and Grace Wivell (right) — also known as the “Gorontalo Gals” — regularly wear matching batik dresses they bought during orientation in Bandung. 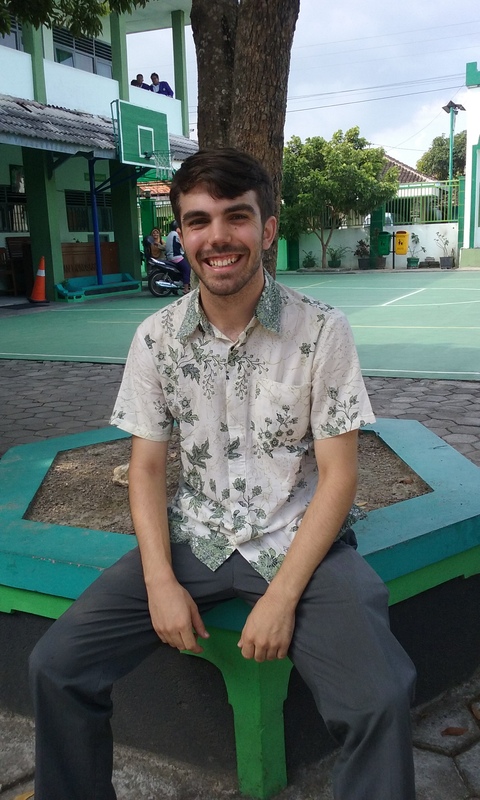 Bryan Howard, placed in Wonosari, D. I. Yogyakarta, sporting some green, leaf-motif batik outside MAN Wonosari’s teachers’ room. In Bangka, the locally made fabric is known as cual. Here ETA Kelly Fitzgerald is wearing a handmade cual scarf that was presented to her by her headmistress on the first day of school. 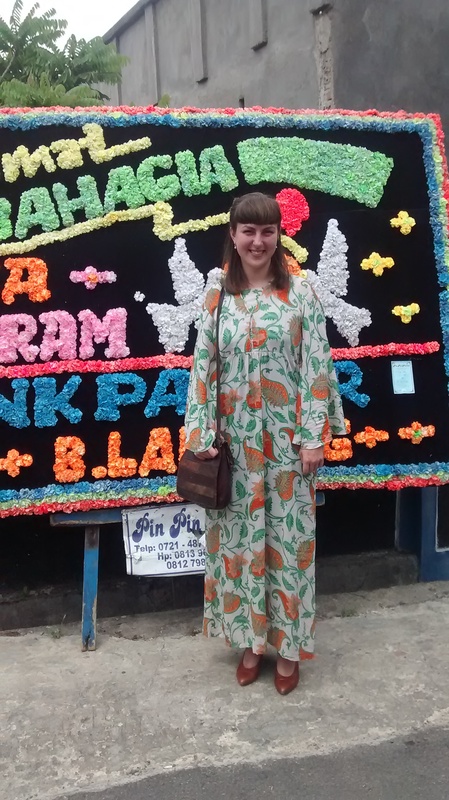 Rebecca Selin wearing batik purchased in Bandung to a wedding at her site in Bandar Lampung. 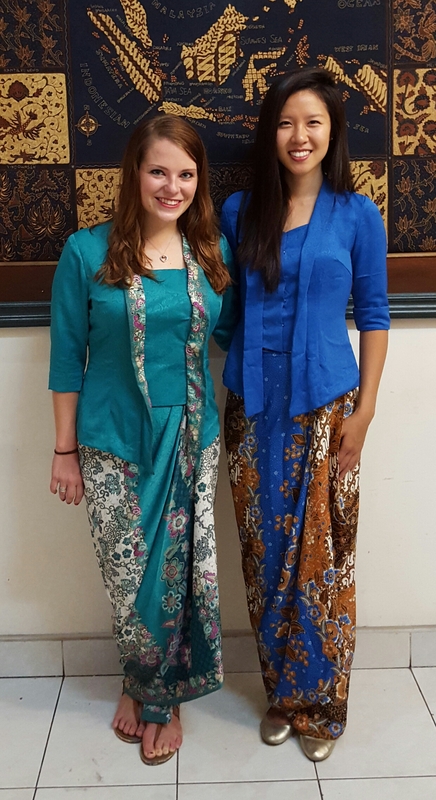 Kendra Reiser (left) and Julia Xia (right), ETAs placed in Yogyakarta, wearing traditional Javanese kebayas made by a local tailor with fabric bought from Malioboro. 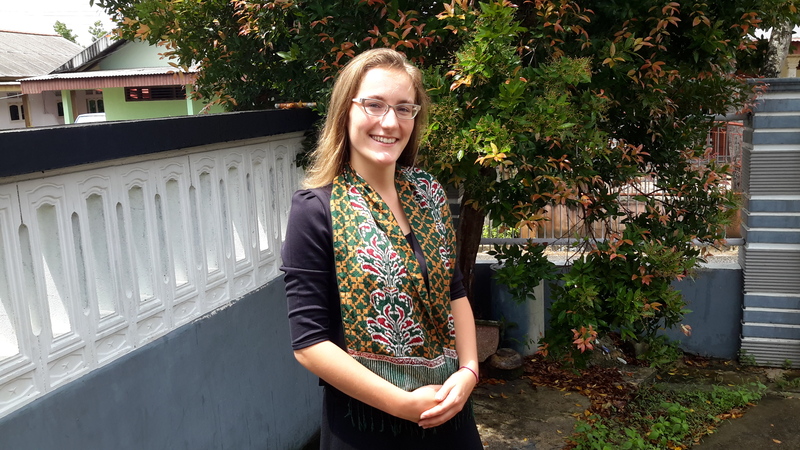 Mackenzie Findlay, placed in Palangkaraya, Central Kalimantan, wearing a batik dress from Bandung. 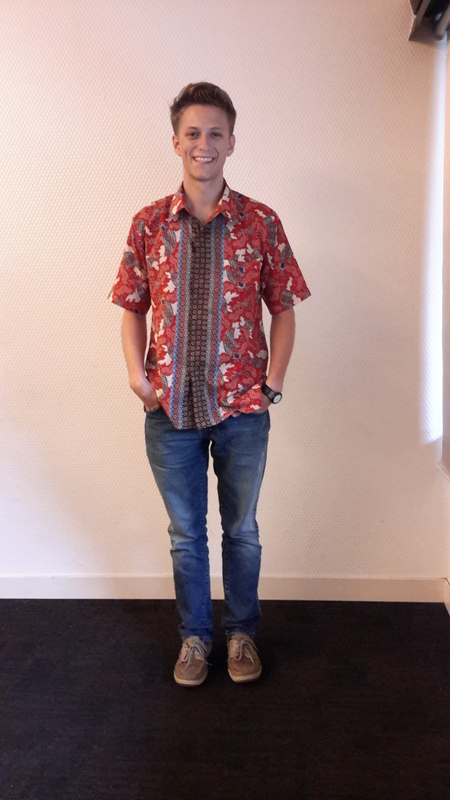 Sean Driscoll, an ETA placed at SMKN 5 in Pontianak, wearing Dayak batik. 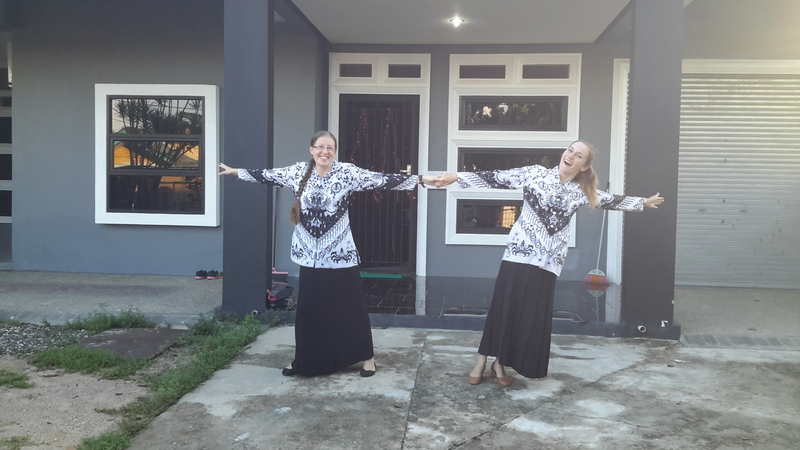 Sitemates Caitlin Jordan (left) and Kelly Fitzgerald (right) pose in front of their shared home in Pangkal Pinang the morning of Hari Guru, or Teachers’ Day. They are wearing batik for Persatuan Guru Republik Indonesia (PGRI), the Indonesian National Teacher’s Association. PGRI batik designs vary across provinces. This black-and-white variety is PGRI’s incarnation in Bangka-Belitung province. 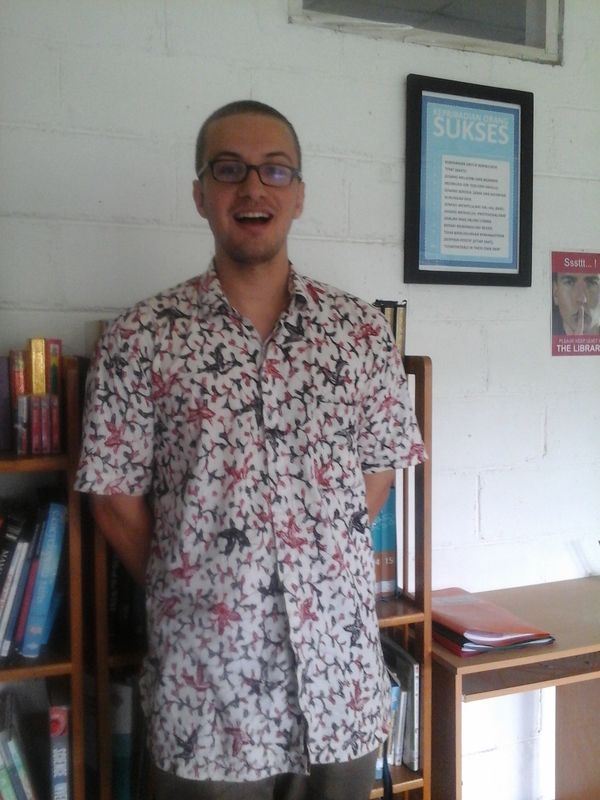 Christopher Linnan, who works at SMA Unggulan CT Foundation in Medan, wearing a batik from Yogyakarta. 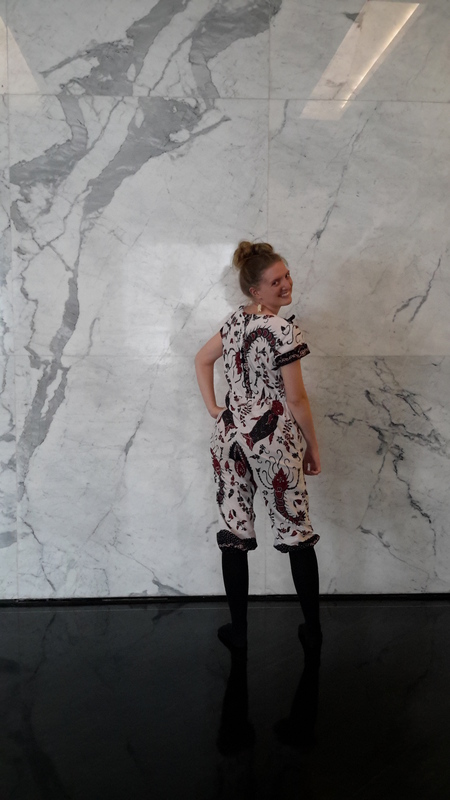 Clara Summers, placed in Malang, is modeling a custom-tailored batik romper. The fabric is from Madura and features marine animal motifs. Look closely and you’ll see shrimp and fish in the pattern. 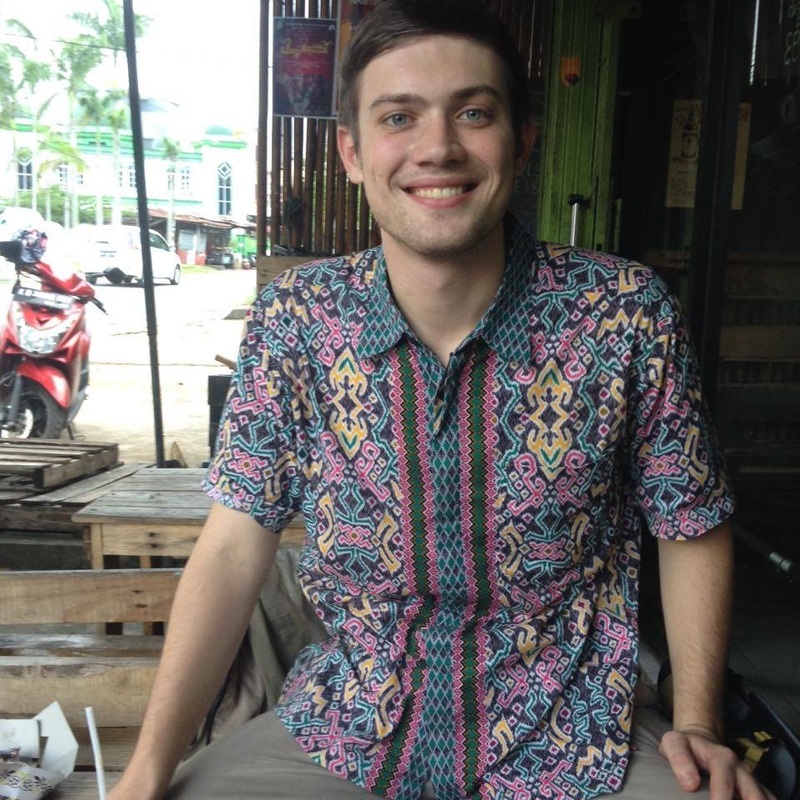 Jared Lax, placed in Pontianak on Kalimantan, is wearing batik from Java. 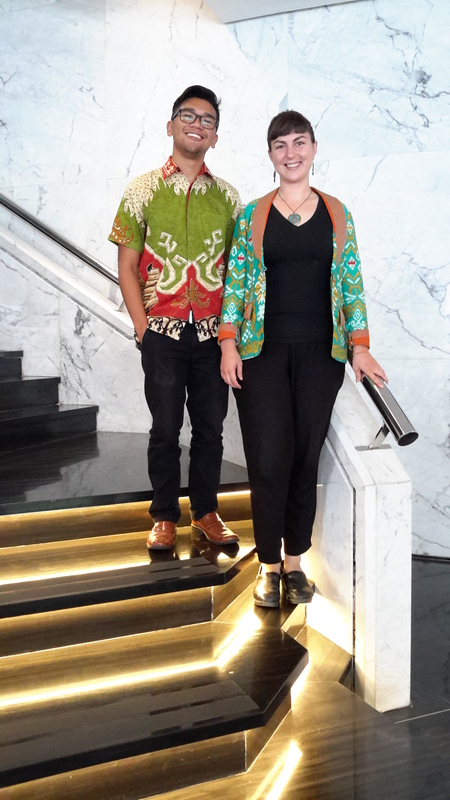 Sitemates in Bandar Lampung, Rebecca Selin and Ramon Caleon, are both wearing fabrics that feature unique Lampungese motifs. For example, on Ramon’s collar you can see pairs of people in boats, a recurring theme from Southern Sumatra. You can also see a gamolan, a traditional xylophone-like Lampungese instrument, in brown under Ramon’s arm. The siger, another symbol of Lampung province, is featured in both Ramon’s and Rebecca’s fabrics. The siger is a crown worn by Lampungese women before marriage. Thanks for sharing the beautiful and colorful fabrics of Indonesia. You all look fantastic.